Ed. 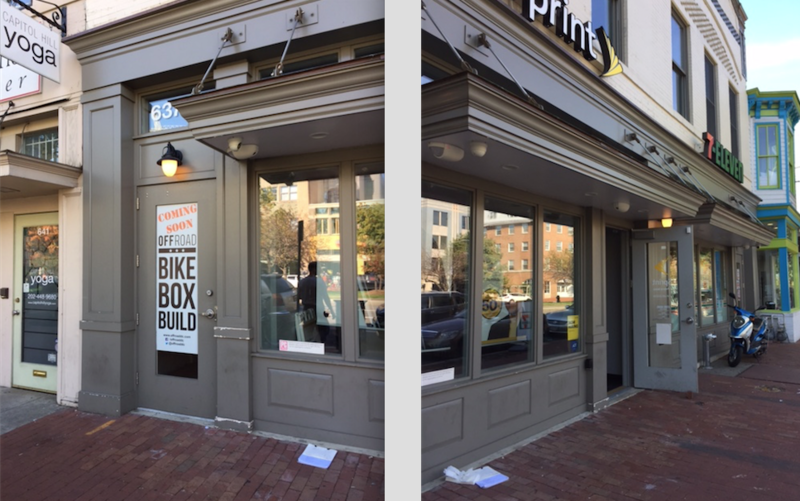 Note: Off Road opened their U Street location back in 2012. “Off Road DC, a premiere Washington, D.C. fitness studio, is excited to announce that it will open a second studio at 637 Pennsylvania Ave SE. Off Road’s second location will offer all three of its popular programs: BIKE, BOX, and BUILD in a 2000+ square foot space with 2 dedicated studios in the vibrant Capitol Hill neighborhood. Off Road is committed to providing real fitness for real people, and its owners believe that workouts and classes should be accessible for all. The pricing structure at Off Road makes it one of the most affordable boutique fitness destinations in the city. First time clients can get a week of unlimited workouts for $50. From there, classes run on a points system, starting at $12 for a 30-minute class. Off Road offers three types of classes: BIKE, BOX, and BUILD. BIKE30 and BIKE50 are not your average spin classes – expect real cycling with real power. Clients will ride on one of 30 Stages Indoor Cycling bikes, all equipped with VismoX software. Using VismoX, riders can track their specific results from each ride by integrating seamlessly with smartphones, as well as an in-studio screen, to provide insight into heart rate and power data. BOX is a non-stop, knockout style boxing circuit workout. It incorporates alternating rounds of bagwork, footwork and padwork designed by professional fighters. BUILD coaches clients to increased endurance, strength and power in a class that uses TRX suspension straps, kettlebells and more to help build and tone muscle.